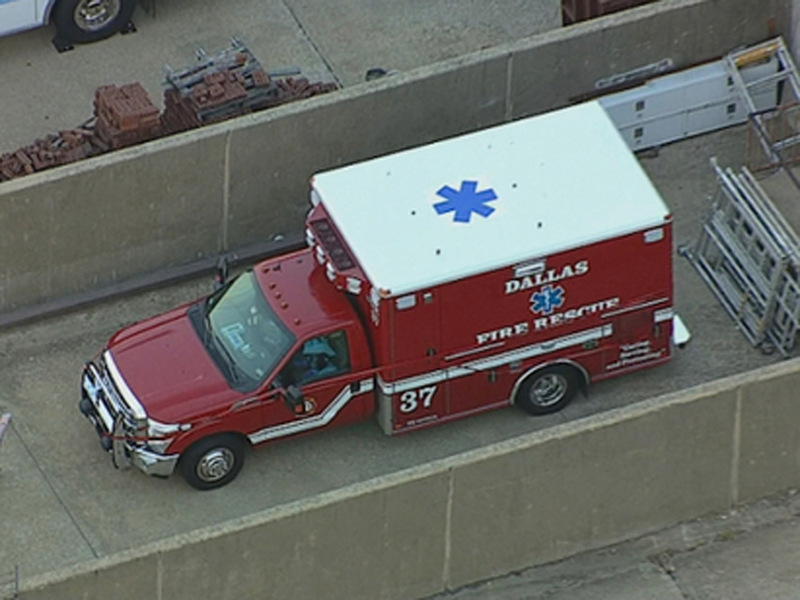 DALLAS -- Three members of the ambulance crew that transported a man diagnosed with Ebola to a Dallas hospital have tested negative for the virus and are restricted to their homes as health officials monitor their conditions. Dallas city spokeswoman Sana Syed says the Dallas Fire-Rescue EMS crew was tested Tuesday night and sent home. They have not exhibited any symptoms of the virus. Syed says the man transported to Texas Health Presbyterian Hospital on Sunday was vomiting when the ambulance arrived. The patient is currently listed in serious condition, the hospital said Wednesday. She says the ambulance crew is among 12 to 18 people health officials are monitoring because they were exposed to the man. Some are members of his family, but not all. The patient traveled from Liberia on Sept. 19 to visit family in northeast Dallas. Earlier, Dallas Mayor Mike Rawlings confirmed to CBS DFW that the EMS and ambulance crew had been isolated. "We have quarantined both them and the unit itself to make sure that nothing was there that can be spread and we're going about our protocol about how to do that," said the mayor. "We've created an emergency center at Dallas City Hall that are going through those procedures right now. So we're taking all precautions to make sure everybody's safe." Rawlings also expressed his confidence in medical workers at Texas Health Presbyterian Hospital and officials at Dallas County Health and Human Services regarding their handling of the confirmed case of Ebola in Dallas County. "This is a serious issue but I'm very confident in this passenger plane with them as the pilots," he said. "I think the great news about living in Dallas is you've got a high degree of professionalism both at Presbyterian and at the county level," he told CBS DFW. "I have corresponded with those folks; listened to their plans; and I don't think anything else can be done. Everybody's got protocol. They're dotting the i's and crossing the t's," he added.